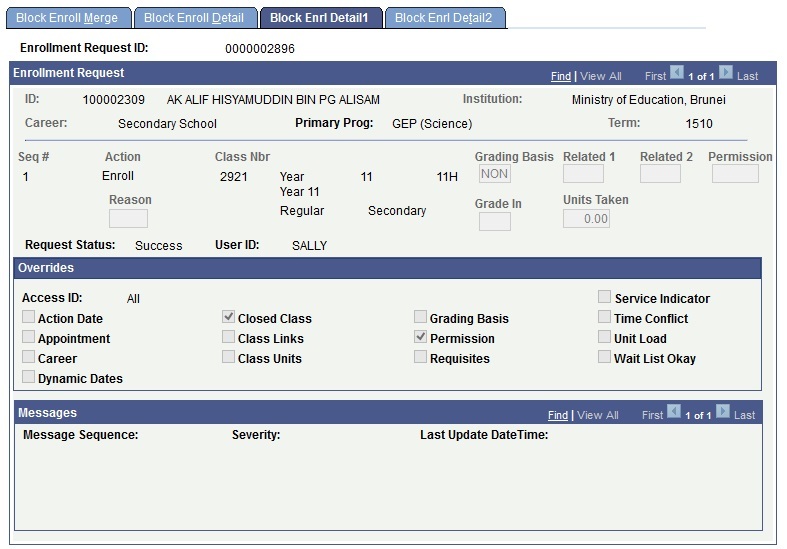 This function allows the users to Register Student Register to Exam Classes. 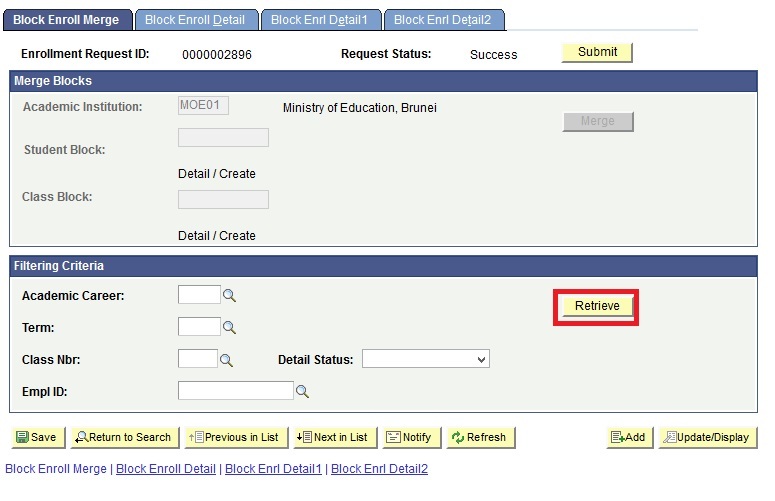 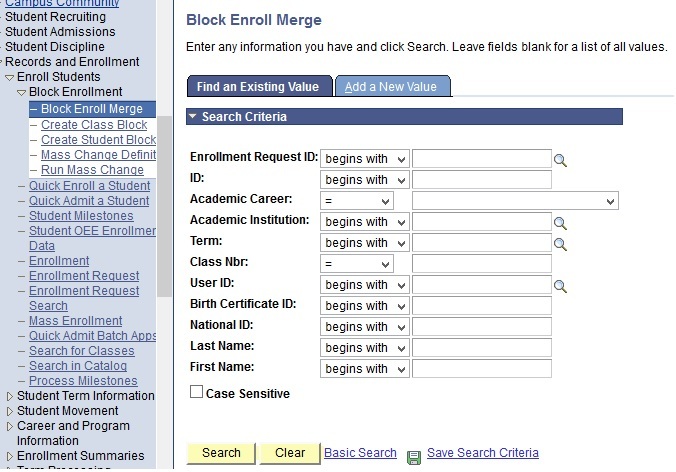 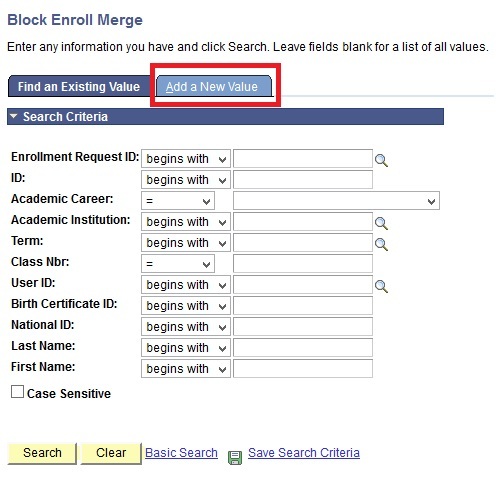 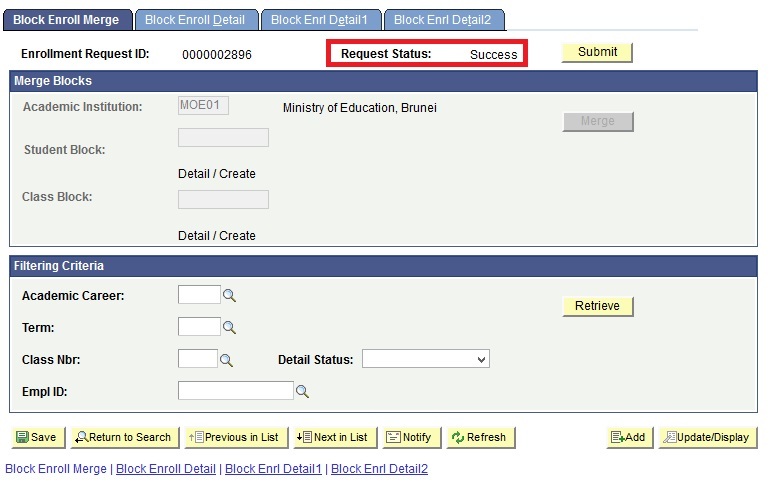 Click Add a New Value Tab to create Block Enroll. 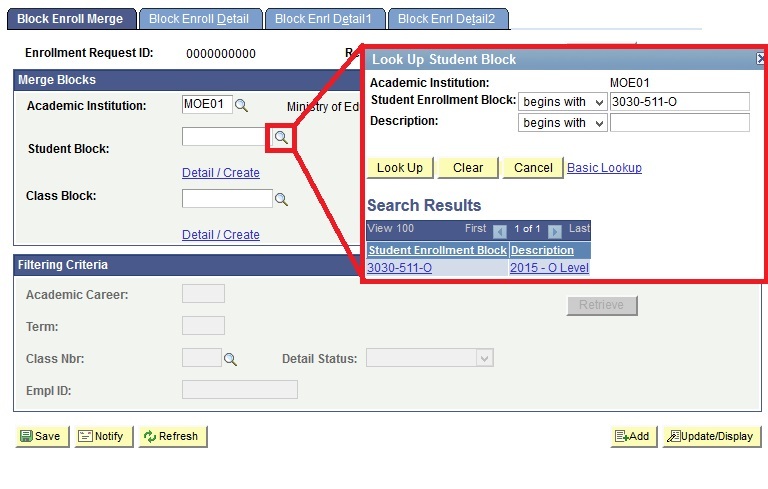 Select the Student Block via lookup button. 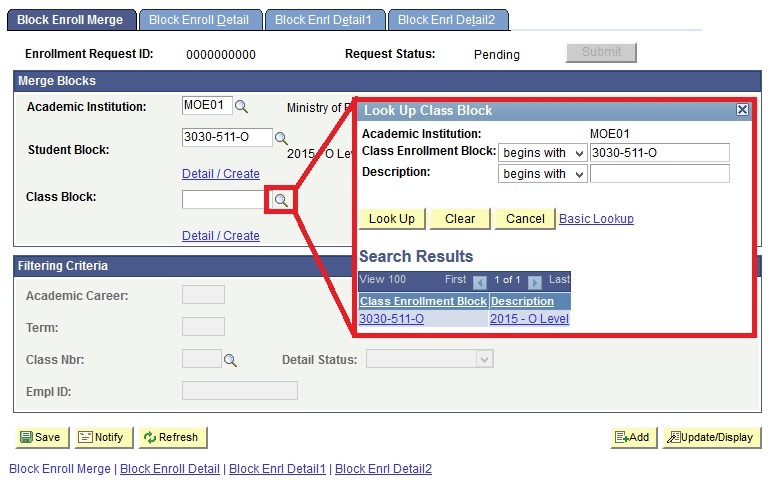 Select the Class Block via lookup button.